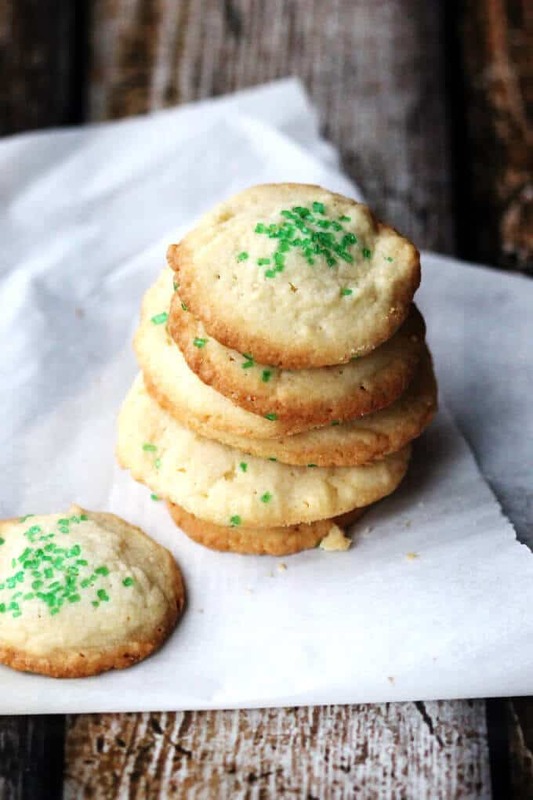 These 5 Ingredient Butter Vanilla Cookies are super easy to make. Butter, sugar, egg, flour, vanilla and just 20 minutes…that’s all you’ll need! Their taste reminds me of butter vanilla cookies you can get on almost every Christmas market in Europe. 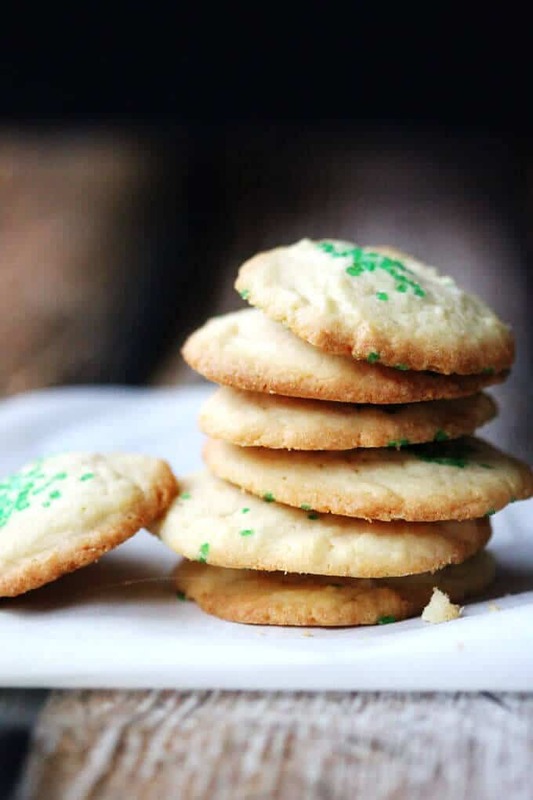 These 5 Ingredient Butter Vanilla Cookies are a perfect sweet for this coming Holidays season and were recently the biggest hit in my house. Here’s why… My 4-year-old is a super picky eater. I know, such a bummer for me. It really is extreme though. Not only won’t he touch vegetables of any sort (somewhat understandable for a kid), but he’s even fussy with sweets, like chocolate (that one really surprised me). So he refused to eat these Blond Chocolate Dipped Pistachio Financiers or 3 Ingredients Chocolate Coconut Fudge; which meant there was a lot for us. But I still can’t believe it. So when it came time to demo a potential Santa cookie, chocolate chip cookies weren’t an option because he simply wouldn’t eat them. Every Saturday he goes to Polish school and his recent lesson was to learn the words/concepts of “yesterday, today and tomorrow.” And “today” the main character in his lesson book was baking cookies. As is our routine, we were practicing Polish the morning before he went to school and he realized that if she’s making cookies today, that he needs to make them too. It was imperative. And again, chocolate was excluded as an option. However he LOVES vanilla, so I needed to come up with a quick vanilla cookies recipe. 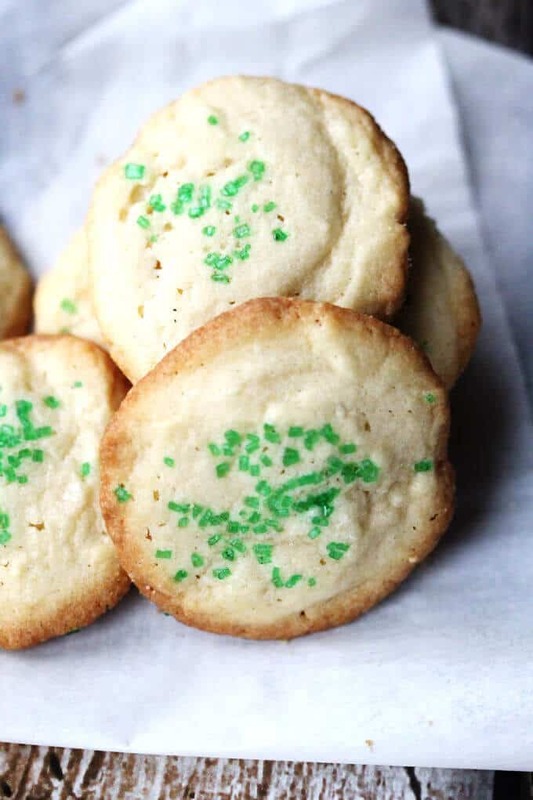 I remembered that I once saw a super easy recipe for vanilla cookies; probably somewhere on the vanilla packaging back in Poland. There were just 5 ingredients involved and everything was measured in “1” except for 2 cups of flour. Super easy & checked the vanilla need! I knew this is going to be great, because my son will love to help bake and they’d be done in no time. There was just one tiny problem. My younger son (currently 10 months old) broke ALL the eggs that we had in the house. I came to realize that holding him on my hip while trying to make breakfast wasn’t the best idea. Apparently, he has something against eggs, because he violently grabbed the egg carton and with malicious intent, threw them to the ground. I think you can imagine the carnage. So I needed to go to the store and get some eggs for my 5 Ingredient Butter Vanilla Cookies. Yup, one of these ingredients is 1 egg and that’s what was the only thing not readily accessible in my house. 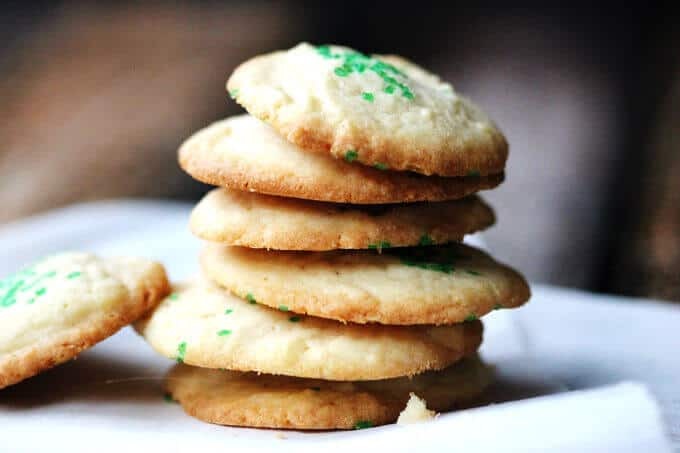 Therefore my older son and I went on a mission to procure eggs and while there, he realized that he wanted sprinkles on his cookies and they needed to be green. I must admit it was a fun idea. As a matter of fact, you could choose to use green and red sugar sprinkles and they’d be super festive for the Holidays. Anyways, my little man was holding the mixer, was adding all the ingredients, putting the dough on a sheet and then sprinkling all of the cookies with the green stuff. They look pretty good, don’t they? I’m such a proud mama. And optional sprinkles on top. And they taste fantastic! They have a rich, buttery consistency and simply melt in your mouth. 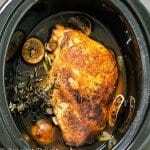 Better yet, they’re done in just 20 minutes from start to finish. How can you beat that? 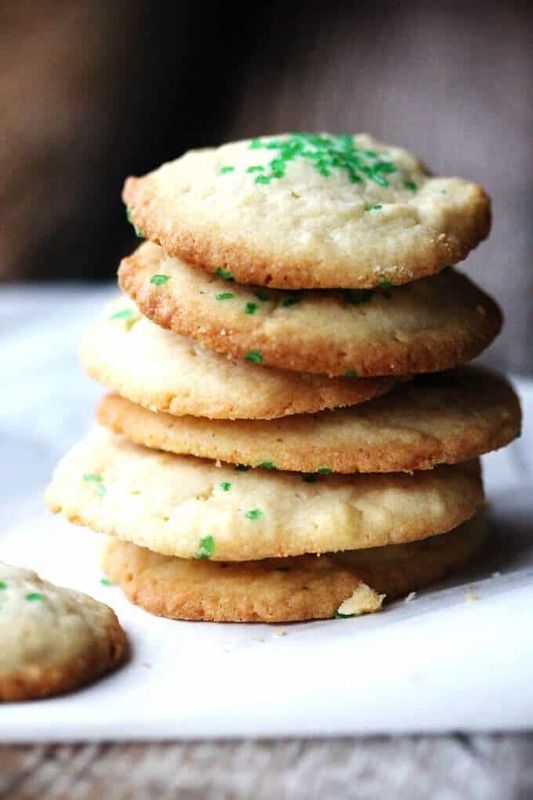 5 Ingredient Butter Vanilla Cookies are super easy to make. Butter, sugar, egg, flour, vanilla and 20 minutes. That's all you need! Bake for 10 minutes; let cool off and enjoy. These are one of my fave cookies ever! 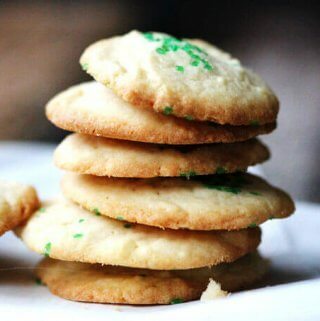 They are so buttery and addictive, I swear you can never just eat 1! 🙂 Love the addition of vanilla in them, makes them even more comforting! Love how simple these are! They sound so tasty! 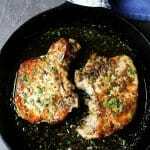 Love these – why is it that the simplest recipes are always the best!? Also I am a huge van of simple vanilla flavor in everything – no need to overcomplicate things, and it’s so elegant! These cookies looks so divine. 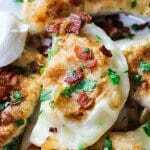 I will have to make these soon. They are divine. I hope you will like them.